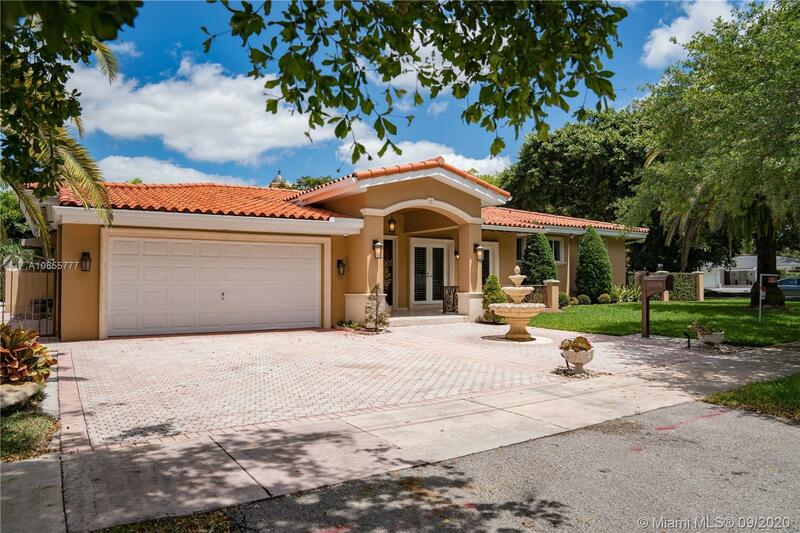 Beautiful Coral Gables home in great a great location, a short distance from the Coral Gables Country Club and Gold Course. House is in impeccable condition with a gourmet kitchen, top of the line appliances and beautiful custom wood cabinetry. The home features Custom Entry and French doors, a back up generator and impact windows and doors throughout. Open living areas for indoor and outdoor entertaining. Beautiful landscaping in a wonderful 12,000 sq. ft. corner lot. Short drive to the Central Gables business district with its many restaurants and entertainment venues. Short commute to Downtown/Brickell and the airport. Directions: From Lejeune Road Take Alhambra Circle To S Greenway Drive And The Home Is Located On The Corner To Your Right.